Thursday Fireworks! Smurfs 2! Patriotic Spirit Celebration! Antique & Flea Market! Port Isabel Celebrates Independence Day with a host of activities! 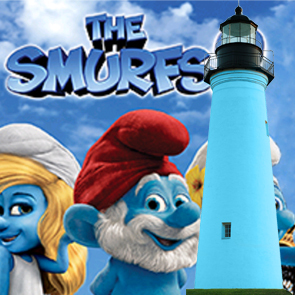 Take a long weekend in Port Isabel starting with the THURSDAY NIGHT FIREWORKS, then Season 11 of the Lighthouse Establishment Cinema continues Friday, July 3rd with “THE SMURFS 2”, Patriotic Spirit Celebraton & Parade on July 4th and Sunday brings the Antique & Flea Market! Plan a visit the Museums of Port Isabel, or our unique shops with new arrivals for that special trinket or souvenir or collectible, have a great meal in our restaurants or cafes, fish from the pier or take a charter and take in the view of the beautiful Laguna Madre Bay. Then extend your visit! See our accommodations here> http://bit.ly/1FnUt7B. THURSDAY NIGHT FIREWORKS OVER THE BAY! Thursdays through September 3rd at 9:15 p.m. Lots of viewing areas in Port Isabel! Port Isabel Historic Lighthouse Park, the longest lighted pier in Texas at Pirate’s Landing Fishing Pier, the Black Dragon Cruises, Pelican Station! Sponsored in part by Black Dragon Cruises. 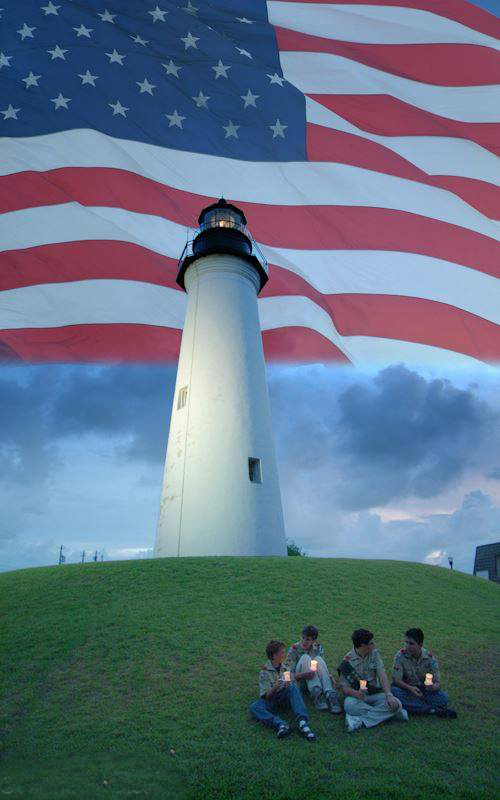 Season 11 continues on July 3rd at 9:30 p.m. at the historic Port Isabel Lighthouse. This is a free event and open to the public. Conessions are available. For more information call the Port Isabel Visitors Center at 956/943-0755. 2015 schedule, EVERY Friday in June & July at 9:30 p.m. Facebook: http://on.fb.me/1GLT3p3. The Lighthouse Establishment Cinema is sponsored by: Quik Stop, Texas Pack, Inc., City of Port Isabel, Port Isabel Economic Development Corporation & Museums of Port Isabel. Movies will be projected on the side of the lighthouse every Friday in June and July at 9:30 p.m. This a FREE, family friendly event. Concessions available. 2015 PORT ISABEL PATRIOTIC SPIRIT CELEBRATION. Saturday, July 4th from 10 a.m. to 1 pm. in Washington Park. Sponsored by: The City of Port Isabel, Beautification Committee, Port Isabel Economic Development Corporation, Museums of Port Isabel. The 2nd Annual Port Isabel Patriotic Spirit Celebration PARADE will feature: Port Isabel Little Lakers Basketball Team, Long Island Village Golf Club Carts, Daniella Murchison, Port Isabel Fire Dept., Port Isabel Police Dept., Port Isabel Beautification Committee Mobile, Funshine Daycare, Port Isabel Underdogs Basketball Team and more! PARADE ENTRY: Robert Salinas 956/943-0705 or edcadministrator@copitx.com. VENDOR INFO: Jeannie Flores 956/943-0755 or museumdirector@copitx.com. SPONSORS: H. E. B., BLUE MARLIN, City of Port Isabel Beautification Committee, Port Isabel Economic Development Corporation & City of Port Isabel. Sunday, July 5th, from 9 a.m. to 4 p.m., Port Isabel Antique & Flea Market. Beulah Lee Park on Highway 100. Dozens of dealers & thousands of deals! March – October: 1st Sunday of the Month. 1st & 3rd* Sunday 9a-4p November – February. FREE ADMISSION! For more information: Gloria Bates 956/455-6798. This week on Facebook our look at the past featured Billy Boomerang. 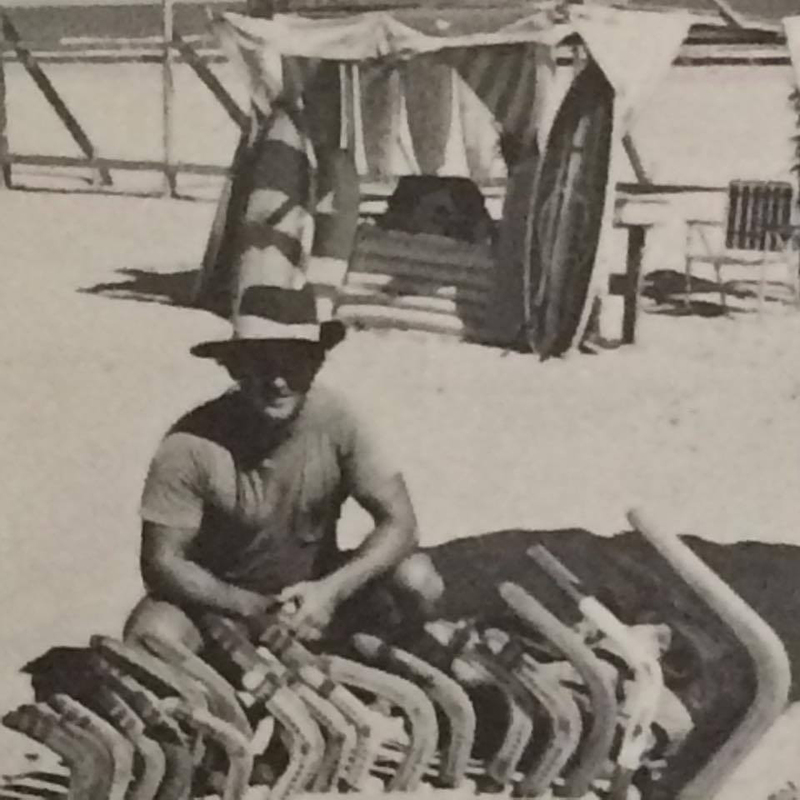 Here, pictured in December 1977, Billy Boomerang was a fixture on the beach near the Jetties Restaurant where he demonstrated and sold his handcrafted boomerangs. Locals knew him from the church he attended or shops he frequented around Lighthouse Square or thumbing a ride to South Padre Island or fishing for sharks from the jetties… Join in the conversation and trip down memory lane on our Facebook post: http://on.fb.me/1R11Uxs.